PHOENIX (AP) — Arizona Gov. 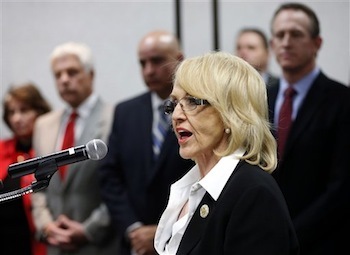 Jan Brewer has built a political career in standing up to the federal government over everything from immigration to health care. So she surprised almost everyone when she announced last week that she not only plans to push for an expansion of the state’s Medicaid program under the federal health care law — she plans to fund it by raising taxes.